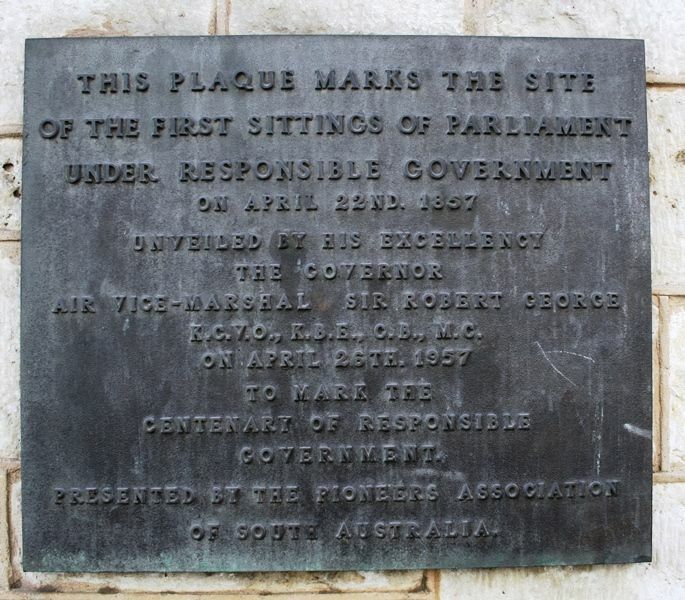 A plaque commemorates the centenary of responsible government in South Australia. To mark the centenary of responsible government. Presented by the Pioneers Association ff South Australia.